On May 24, the Treasury Department designated nine individuals and entities that were procuring "export-controlled, U.S.-origin goods for sanctioned Iranian airlines." The sanctions also targeted procurement networks based in Turkey. "The deceptive practices these airlines employ to illegally obtain services and U.S. goods is yet another example of the duplicitous ways in which the Iranian regime has operated," said Treasury Secretary Steven T. Mnuchin. This was the second set of sanctions issued since Secretary of State Pompeo threatend to apply severe economic and military pressure on Tehran if it did not make sweeping changes in its foreign and nuclear policies. The following is the full text of the Treasury's press release. 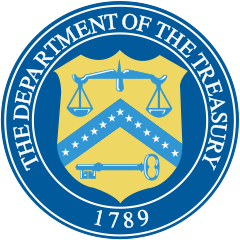 Washington - Today, the U.S. Department of the Treasury’s Office of Foreign Assets Control (OFAC) designated nine individuals and entities procuring export-controlled, U.S.-origin goods for sanctioned Iranian airlines. They were designated as Specially Designated Global Terrorists (SDGTs) pursuant to Executive Order (E.O.) 13224, which targets terrorists and those providing support to terrorists or acts of terrorism. OFAC also identified 31 aircraft in which entities previously designated under E.O. 13224 have an interest. Designated Iranian commercial airlines in general, and Mahan Air in particular, have played a critical role in exporting the Iranian regime’s malign influence. Mahan Air was designated in 2011 under Executive Order 13224 for support to the Islamic Revolutionary Guard Corps-Qods Force (IRGC-QF). Mahan Air has ferried IRGC-QF operatives, weapons, equipment, and funds to international locations in furtherance of Iranian state-sponsored terror operations. Mahan Air has provided travel services to IRGC-QF personnel flown to and from Iran and Syria for military training and has facilitated the covert travel of IRGC-QF members by bypassing normal security procedures and flight manifests. Mahan Air has also transported weapons and personnel for Hizballah and regional armed groups promoting conflict and regional instability. Since the onset of the Syrian civil war, Mahan Air and designated Iranian commercial airlines have routinely flown fighters and materiel to Syria to prop up the Assad regime. Iran’s military support for Assad has contributed to mass atrocities in the country and the displacement of millions across the region. Designated Iranian airlines rely heavily on front companies across the world who illicitly procure the parts and services required to sustain their fleets. Front companies like those being designated today employ deceptive measures to illegally obtain controlled U.S. parts from suppliers. Additionally, we are identifying a number of aircraft associated with designated Iranian airlines Mahan Air, Caspian Air, Meraj Air, and Pouya Air, giving notice to those who grant landing rights and provide general services to these aircraft that they could be exposed to U.S. sanctions. The aviation community is also alerted to the sanctions risk for those maintaining commercial relationships with Mahan Air and other designated Iranian airlines, including Caspian Air, Meraj Air, and Pouya Air. Persons operating in the civil aviation industry should implement appropriate controls to ensure compliance with their legal requirements. Potentially sanctionable activities include, but are not limited to: procurement of aircraft parts and equipment, maintenance contracts, airline ground services and catering, interline transfer and codeshare agreements, general sales agent services, ticketing services and sales, marketing services, cargo cooperation agreements, cargo sales agent services and agreements, and freight forwarding services and agreements. Today’s actions are the result of a U.S. Government-wide effort to prevent the procurement of U.S.-export controlled goods by designated Iranian airlines through individuals and entities in third countries, demonstrating the United States’ commitment to enforcing existing sanctions and to targeting those that support terrorism. These actions build upon President Trump’s decision to cease the United States’ participation in the Joint Comprehensive Plan of Action (JCPOA) and begin re-imposing U.S. sanctions that had been lifted under the JCPOA. OFAC is designating Turkish citizen Gulnihal Yegane and a network of Istanbul-based firms, including Trigron Lojistik, RA Havacilik, and 3G Lojistik, for enabling designated Iranian airline Mahan Air to secure key aviation goods and services and sustain its fleet of Western-manufactured aircraft. Mahan Air was designated pursuant to E.O. 13224 on October 12, 2011, for providing financial, material, and technological support to the IRGC­QF. Gulnihal Yegane is being designated pursuant to E.O. 13224 for assisting in, sponsoring, or providing financial, material, or technological support for, or financial or other services to or in support of, Mahan Air. Istanbul-based Gulnihal Yegane manages multiple businesses that purchase and/or receive aviation parts from foreign vendors, including export-controlled, U.S.-origin items, who then forward those parts to Mahan Air. Gulnihal Yegane’s businesses have purchased export-controlled, U.S.-origin engines from foreign vendors, which were delivered to Istanbul, and forwarded to Mahan Air. Trigron Lojistik is being designated pursuant to E.O. 13224 for assisting in, sponsoring, or providing financial, material, or technological support for, or financial or other services to or in support of, Mahan Air, as well as for being owned or controlled by Gulnihal Yegane. Trigron Lojistik collects consignments of aviation parts, including export-controlled, U.S.­origin items that are shipped from foreign vendors to companies in Istanbul, and forwards those cargoes to Mahan Air in Tehran. OFAC also is designating 3G Lojistik and RA Havacilik pursuant to E.O. 13224 for assisting in, sponsoring, or providing financial, material, or technological support for, or financial or other services to or in support of, Mahan Air. Both 3G Lojistik and RA Havacilik purchase aviation parts, including export-controlled, U.S.-origin parts, from foreign vendors on behalf of Mahan Air, which are then delivered to Istanbul and forwarded to Tehran by Trigron Lojistik. As a result of today’s actions, Gulnihal Yegane, Trigron Lojistik, 3G Lojistik, and RA Havacilik are subject to secondary sanctions pursuant to the Iranian Financial Sanctions Regulations (IFSR), which implement, among other authorities, the Comprehensive Iran Sanctions and Divestment Act of 2010 (CISADA). Pursuant to the IFSR, OFAC can prohibit or impose strict conditions on the opening or maintaining in the United States of a correspondent account or a payable-through account by a foreign financial institution that knowingly facilitates a significant transaction for persons designated pursuant to E.O. 13224 in connection with Iran’s support for international terrorism. OFAC’s actions were closely coordinated with the U.S. Department of Commerce’s Bureau of Industry and Security (BIS), which on February 2, 2018 issued a Temporary Denial Order presenting evidence that Gulnihal Yegane, as well as Trigron Lojistik and RA Havacilik, are engaged in procurement activities relating to export-controlled, U.S.-origin aircraft engines and parts for or on behalf of one or more Iranian airlines, operating as transaction parties, and facilitating transactions structured to evade the Export Administration Regulations. BIS previously placed Gulnihal Yegane on the BIS Entity List in December 2013, denying her U.S. export privileges for her involvement in a procurement scheme that directly supported Mahan Air. OFAC is designating two entities, Iran-based Blue Airways and Turkey-based Otik Aviation, in connection with Mahan Air. Iran-based Blue Airways is being designated pursuant to E.O. 13224 for providing material support to, and for acting for or on behalf of, Mahan Air, primarily through the procurement and provision of aircraft parts from abroad. Blue Airways, which is co-located with Mahan Air, is a Mahan Air-operated shell company with no aircraft or discernable assets. To disguise Mahan Air as the actual buyer and final recipient of prohibited U.S. goods, Blue Airways often is listed on commercial documents in place of Mahan Air. This tactic is used by Mahan Air to procure goods from neighboring countries, China and Europe. Otik Aviation, an Istanbul, Turkey-based entity, is being designated pursuant to E.O. 13224 for providing material support to Mahan Air, and regularly supplying the Iranian airline with export-controlled, U.S.-origin aircraft parts. Over the last several years, Otik Aviation has procured and delivered millions of dollars in aviation-related spare and replacement parts for Mahan Air, some of which are procured from the United States and the European Union. As recently as 2017, Otik Aviation continued to provide Mahan Air with replacement parts worth well over $100,000 per shipment, such as aircraft brakes. Representatives of Otik Aviation wittingly ship the aviation-related goods that they procure for Mahan Air to Blue Airways. As a result of today’s actions, Blue Airways and Otik Aviation are subject to secondary sanctions pursuant to the IFSR. OFAC is designating two Iranian individuals for acting for or on behalf of designated Iranian airline Meraj Air, as well as one Iran-based company that is owned or controlled by these individuals and that acts for or on behalf of Meraj Air. Meraj Air was designated pursuant to E.O. 13224 on August 29, 2014, as a Government of Iran airline that has been used to ferry illicit cargo, including weapons, from Tehran to the Syrian regime since at least 2013. Iraj Ronaghi (Ronaghi) and Touraj Zanganeh (Zanganeh) are being designated pursuant to E.O. 13224 for acting for or on behalf of Meraj Air. Dena Airways is being designated pursuant to E.O. 13224 for being owned or controlled by Ronaghi and Zanganeh, and for acting for or on behalf of Meraj Air. Meraj Air transferred VIP flight operations for the Government of Iran to Dena Airways in November 2017. As a result of today’s actions, Iraj Ronaghi, Touraj Zanganeh, and Dena Airways are subject to secondary sanctions pursuant to the IFSR. Twelve aircraft in which Mahan Air (designated on October 12, 2011) has an interest: EP-MMA, EP-MMB, EP-MMC, EP-MMJ, EP-MMV, EP-MNF, EP-MOD, EP­MOM, EP-MOP, EP-MOQ, EP-MOR, and EP-MOS.